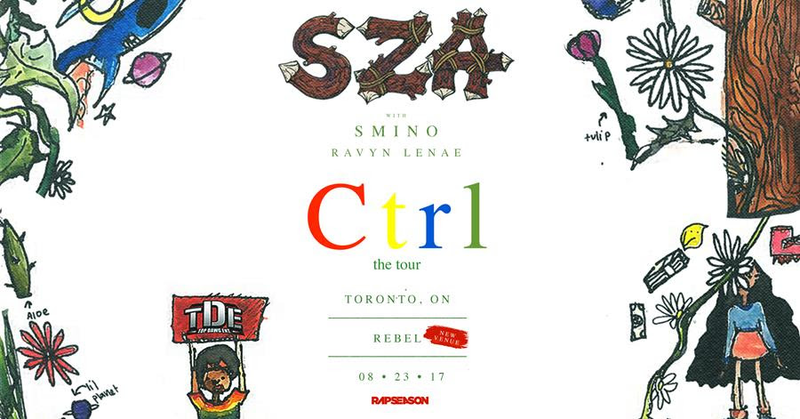 Due to overwhelming demand the SZA show scheduled to play The Phoenix Concert Theatre on August 23rd will be moving to Rebel (same date). Tickets purchased for the The Phoenix will be honoured at the new venue. A new batch of tickets for Rebel will be released on Friday July 21st at 10am. Solána Imani Rowe, better known by her stage name SZA, is a singer-songwriter whose music is described as alternative R&B. Born in St. Louis and raised in New Jersey, SZA entered the music scene with her first critically acclaimed EP, See.SZA.Run in 2012, followed by S in 2013 and Z in 2014. In 2013, SZA became the first female artist to join the TDE label. Earlier this summer, SZA released her long-awaited debut album, CTRL, featuring guest appearances by Kendrick Lamar, James Fauntleroy and Isaiah Rashad. Since its release, the album has claimed the number three spot on the Billboard 200 chart. Her latest single, Love Galore featuring Travis Scott, is also currently on the Billboard Hot 100 list.